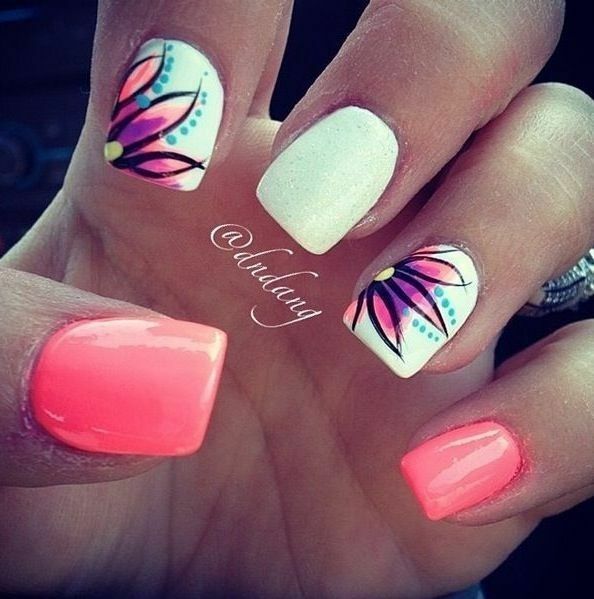 Zuri has compiled a list of 20 awesome nail art design ideas inspired by Spring/Summer of 2015. 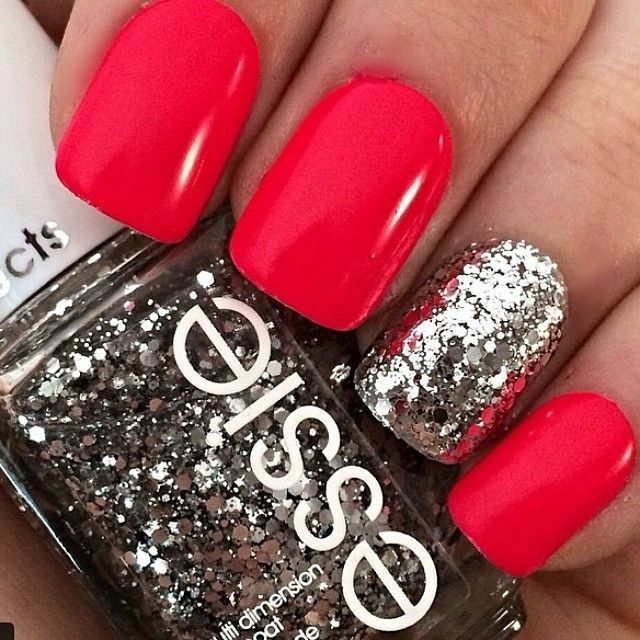 So, check them out and fall in love with these gorgeous nail art designs now. The best thing about spring and summers is the fact that we get to grow out of layers and layers. It is also that time of the year when we can be comfortably dressed in light colors and lighter fabrics such as cottons and are all set to flaunt our hands and feet in style. So, here is some good news! Zuri brings to you 20 awesome spring/summer inspired nail art designs. Try out these colorful, floral, vibrant and lively nail art designs to further glorify the beauty of your hands. Nails complete the entire look of a woman and a gorgeous nail art design enhances the personality. This spring/summer, wear neons, animal prints, florals, peaches, soft blues and yellows as they are going to stay in trend for the entire season. Bright teal that instantly takes you to a summer night beach or a candy-apple-red with an extra shine is going to look equally stunning this spring/summer. Besides, pastels and minty shades are also going to rule this year. Just let your nails grow a bit for the design to look neat and fuller. 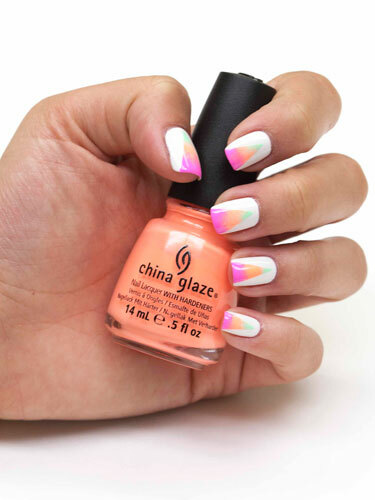 Check out these 20 beautiful nail art designs that scream summers. Fall in love with them and try out a new one on regular basis. 1. Get your nails manicured. 2. Apply two coats of white polish over the nails. 3. Once the nails are dry, create a “V” shape on the nail with a tape (use two thin pieces of tape to create a “V” mark). 4. Paint three thin stripes with three different neon colors (shades could be of your choice, but go for a summer shades in contrast colors). Dab sponge with a gloss on the area which was left untaped of the nail quite a few times. 5. Dab sponge with a gloss on the area which was left untaped. 6. In order to ensure the colors are shiny and popping out, repeat the steps several times (giving enough time for the polish of the last time to dry up well). Now seal with your choice of topcoat. So, get set to be inspired by such fabulously bright and chic nail art designs and accessorize your hands really well by wearing finger rings. Welcome this year’s spring/summer with a smile and fresh looking hands.